Saharan Rally 2009 completes successfully! It is not often that you will find yourself driving a car, being offered a digestive biscuit and hesitatingly ask "Does it have any sand in it?". It was at this point that we realised we were in the depths of a great place. We launched as expected on Friday 30th January in the very early hours of the morning in order to catch our ferry to France, this allowed us the extra time needed to get to Genoa in Italy for our ferry to Tunisia. Our first night was a cold one, spent sleeping in the car behind a service station in France, where the temperate dropped to -5c and ice formed on the inside of the Land Rover, completely covering all windows. We made our ferry for Tunisia with plenty of time to spare and from that point a truly memorable adventure was started. We have uploaded some of our photos from the Saharan Rally 2009 and these are now available from the photographs link on this website. We hope you enjoy the photos and in the near future we'll try and write up a bit more about our adventure and also upload some of our rally video. We want to thank everyone who has supported us and donated to the Mercy Corps. We've had donations from people we didn't even know were following our adventure. We really appreciate every donation. We have recently reached our fund raising target, but please do not let this put you off donating, as the more that can be raised for the Mercy Corps the better! We also want to thank Integralis, who donated a very generous £500 to the Mercy Corps for our challenge. Thanks are also due to the Mercy Corps who have been very quick to help us with press releases and fund raising material, it really makes fund raising for the Mercy Corps enjoyable and satisfying. We have a monumentally huge thank you for Chris, and son Kai, from Pebble Track for all the time and effort they have put into the GPS tracking facility. Without Chris, the map you saw on our website pinpointing our location would not have been possible. Chris provided us with all the equipment and the backend systems required for the tracking. We found the Pebble Track system to be very reliable when we had mobile network coverage and the integration with Google Maps worked a treat on our website. If you haven't already made a donation to Mercy Corps, we hope now that we have completed the rally you'll feel tempted to make a donation. The rally lasted 24 days, covered 6000 miles, 3000 miles of which through the Sahara desert. 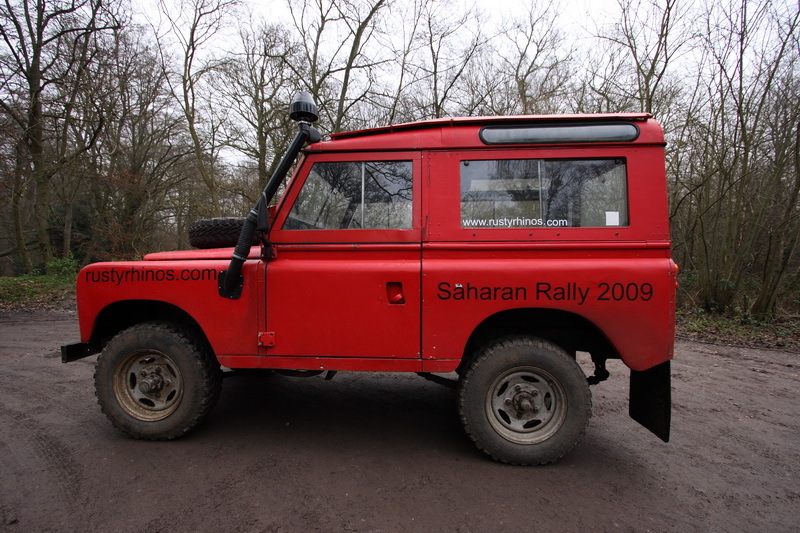 The Saharan Rally 2009 has launched! We have set off into the unknown in hope of a great experience and adventure. You can now keep track of us using the map and the SMS blog that we have published on this site and our main blogging site http://saharan-rally.blogspot.com. Many thanks to all of you who have helped and supported us so far, we really appreciate all your donations to the Mercy Corps. The car is ready, we're ready, but until Monday the 19th of January, we had one slight problem. No ferry crossing to Tunisia, well we finally fixed that problem and we have our ferry crossing. We've also set-up a live SMS blog on our blog site, but we'll also publish it on this site for the duration of the rally. If you go to our blog site (refer to 'the blog' link) you'll also find a mechanism for anonymous posting replies back to us via SMS. Our rally launch date has changed, we are now leaving on Friday 30th January at 4:30am! That is to enable us to catch an early ferry crossing from Dover, as we need to be onboard our ferry crossing from Genoa by 4pm on Saturday 31st January! 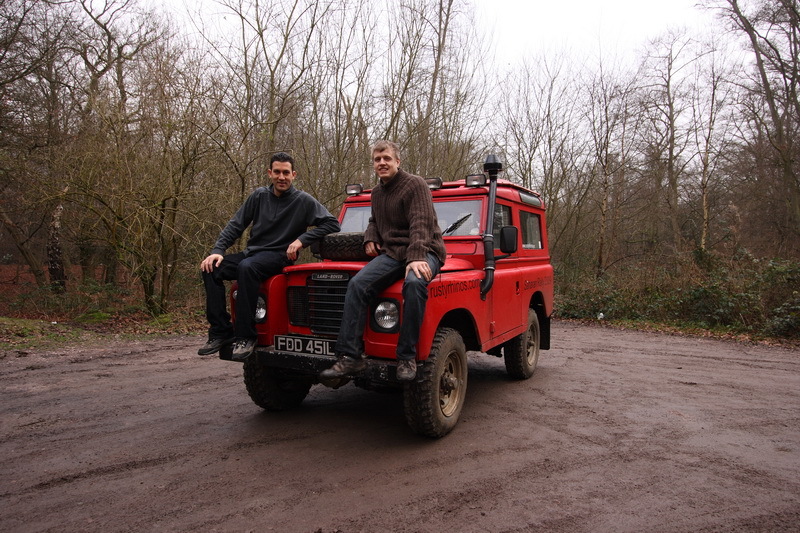 It has taken almost 12 months, but here we are, united with our vehicle of choice for the Saharan Rally 2009. If you have been following our blog, then you'll know it passed the MOT not so long ago, all other preparation has been completed. We have some small bits left to work on on the car, but if we had to leave tomorrow, we're ready to go! 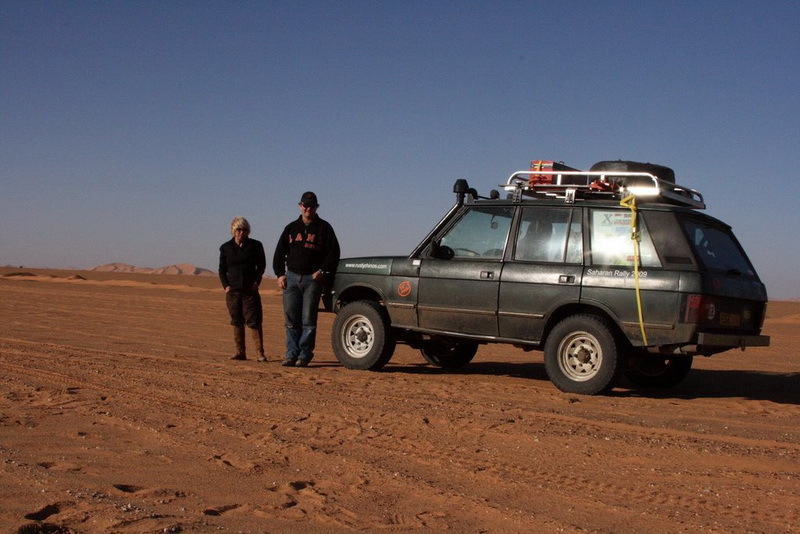 We have a new team onboard the Saharan Rally 2009, welcome the Desert Bunnies who are going to generate somewhat of a storm in the desert with the size and power of their car. 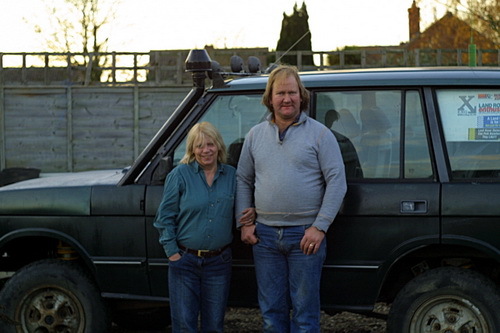 We look forward to Kathy and Moss, pictured below with their Range Rover, taking on the Sahara desert with us. A lot of work has taken place on the car, hours totally hundreds have been spent getting the car to the shape it is in at the moment. There is still a fair bit more to do, but we're hoping it is going to be ready for an MOT test by the end of the month. Check the vehile page for a full commentary on what has been happening on the car to date. 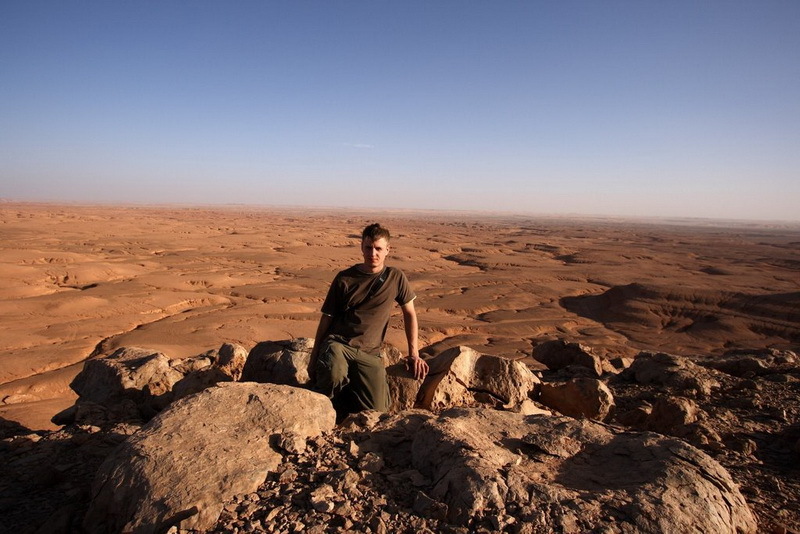 Having formed the team, Rusty Rhinos, in early 2007 and completed The Mongol Rally 2007, we deceided that we couldn't just leave it there, enter The Saharan Rally 2009. 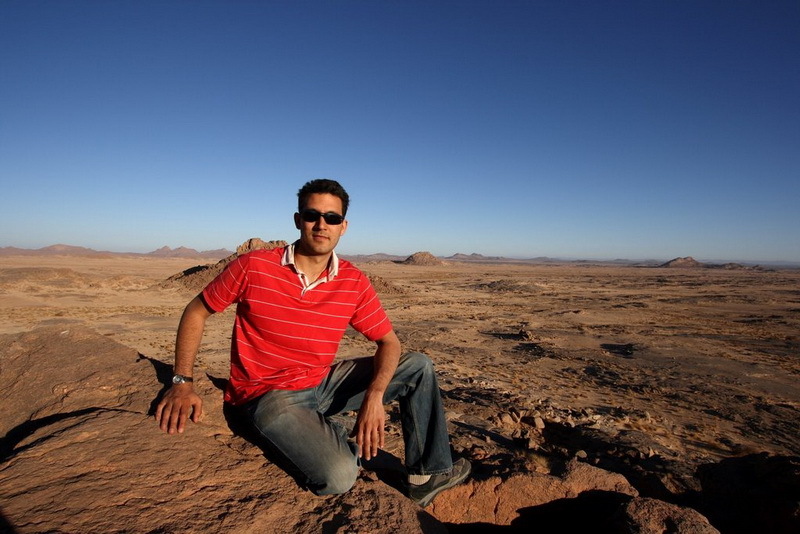 The difference this time is the Saharan Rally 2009 is our own creation. While there are other Saharan rallies, this one is fee free, meaning that anyone involved has more money to spend on preparation and to donate towards their chosen charity. We are due to launch on Saturday 31st January 2009. 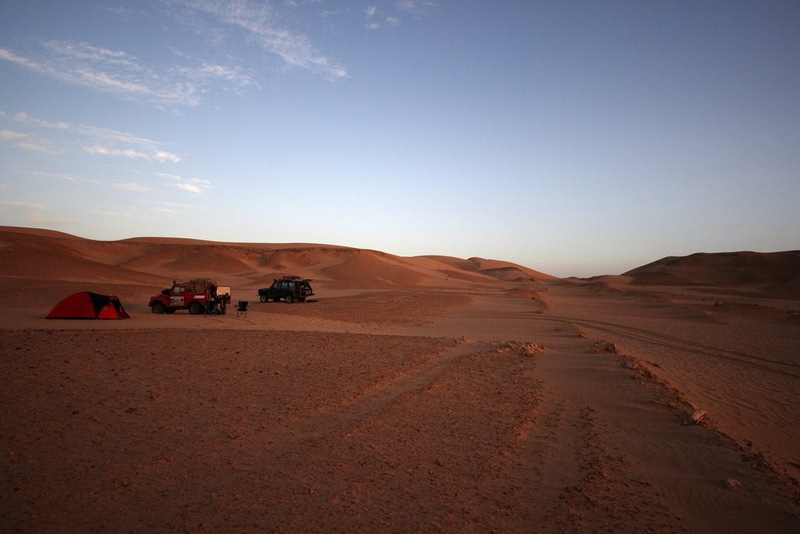 We want to keep the Saharan Rally a small event, but If you are interested in joining us on our second expedition, please use the contact us link to get in touch.